good morning wonderful people. i hope you are all well! thanks for all your congratulations for my new job :) i'm so excited to start, and to tell you all about it. i've been getting really geeky and working out that i want to get a new backpack and a new lunchbox... it's like being a kid again, and going back to school. perhaps i will invest in a new pen an pencil case too?! anyways, i've decided on a bag - a classic fjallraven kanken in ox red - but i'm a little stuck for a lunchbox. i was looking at a lunchbots or an easylunchbox - any thoughts or suggestions? ♥ i finally perfected my sweet red bean paste recipe! 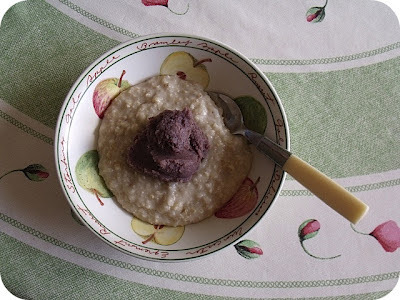 it is of course sugar free, and uses cheap dried adzuki beans. the red bean paste pancakes were delicious back last autumn, and i learnt quickly that the paste is also pretty good on toast, or with a dash of almond milk for breakfast, or even as a cold snack from the fridge. 1. place all the ingredients together in a blender or food processor, and mix until smooth. 2. store in the fridge in a sealed container. 3. enjoy in porridge, pancakes, on toast, or with a dash of almond milk and fresh berries. 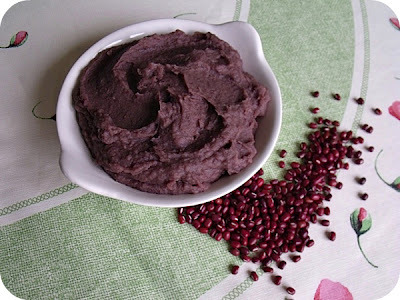 cook's notes: to use dried beans, soak 1/2 cup of dried adzuki beans overnight in fresh water. rinse in the morning, and cook in unsalted water for 40 minutes, or until tender. let me know how it goes - and enjoy this incredibly thrifty recipe! ♥ i love a good runny yolk... mmm hmm. 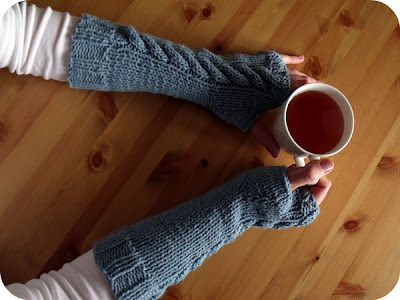 ♥ mum has been knitting loads - and these cute turqouise wrist warmers were her latest invention. she's learnt to cable knit... and though i keep asking her, she absolutely will not knit be a cable cardigan. i love having a creative mum! 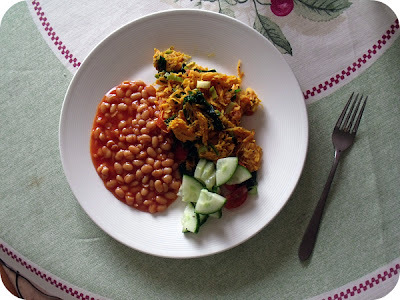 ♥ sweet potato hash - spectacular and very quick. grated sweet potato, chopped celery, spinach and diced fresh tomato, along with a little seasoning and a side of beans and cucumber. a very satisfying dinner indeed. That dinner looks great. I haven't had sweet potato hash, but I think it's something the hubs n' I would like. I love those wrist warmers, but they'd be such overkill in this part of Texas. Still, I envy them every time I see someone wearing them. I'm on a fried egg kick too. Mmmmm. Love the sound of that bean dip, very thrifty I even have some dried beans in the cupboard, might have to give it a try! 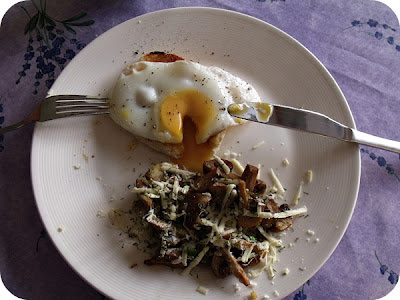 I like the idea of your veggie hashes - both variations look really good! I love adzuki beans, especially in red bean paste buns. So delicious! I use to make my own red bean paste all the time, but haven't done so in a while. You are inspiring me to go whip up a batch - the applesauce sounds like a great addition. It's great with a touch of cinnamon, too! I love red bean paste. I'm not sure what else to put it on/in - ideas? 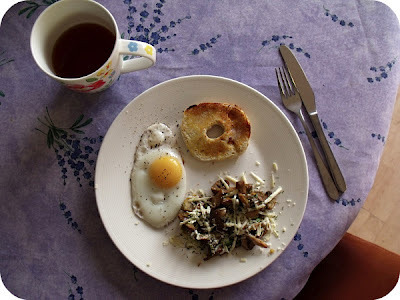 Really adorable blog :) Runny eggs are the best! Those wrist warmers are lovely, your mum is a very talented knitter! I want to learn this winter. I love your veg hashes, they look so tasty!